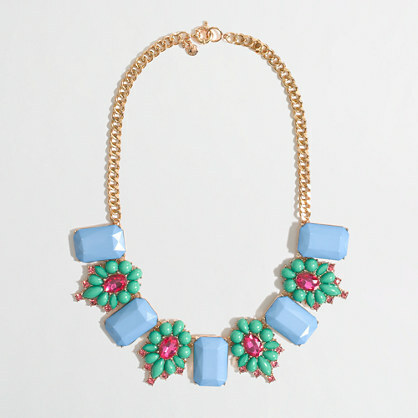 I have really been into statement necklaces lately, even though I only own one of my own. 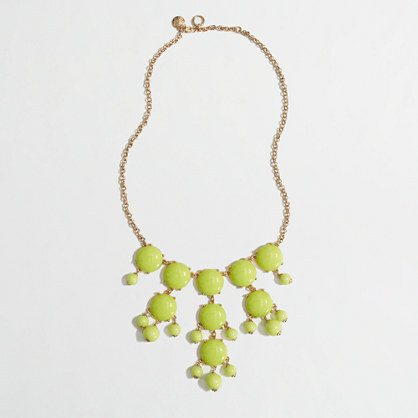 If you are in the market for a reasonably priced necklace that is sure to be good quality, opt for J.Crew Factory! I love a good bauble (in neon, obviously), a sparkly statement and a necklace that is perfect for an easy-going every day look. And with all of them under $60, how's a girl to complain? 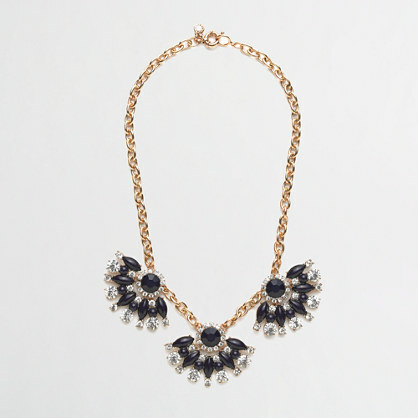 Where is your favorite place to purchase swoon over statement necklaces? I love statement necklaces. They're the perfect addition to a fabulous outfit. The Stone Fan Necklace is too pretty to pass up...but really, I shouldn't with my absurd spending lately!